Lets face it, we live in Florida and having garage sales in the summer is akin to trying to shop in a sauna. With this last "cool" front it might be time to start thinking of giving it a try. Christmas is just around the corner and we could all use a little extra cash for all the presents and space for all the new gifts. Plus you won't have to worry about calling an ambulance for heat exhaustion. 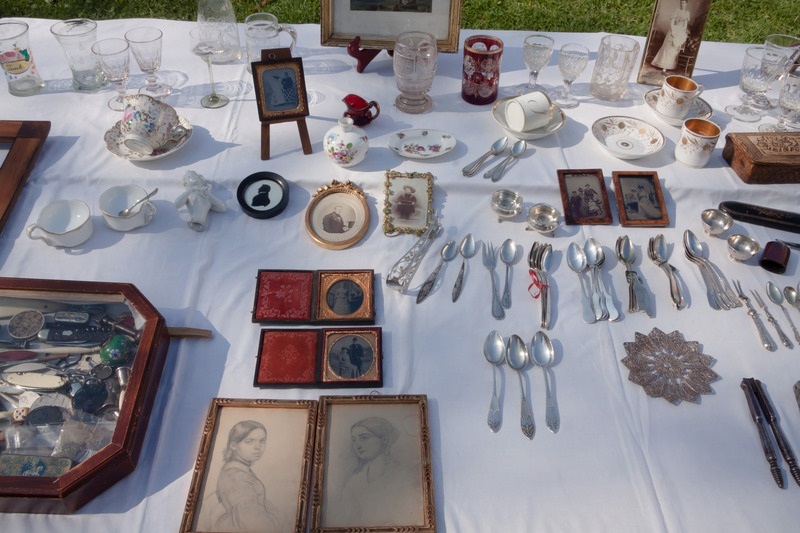 Below are some helpful hints to help you have a successful garage sale! - Because variety is the spice of life, garage sale shoppers prefer sales that feature a little bit of everything. If you have nothing but used clothing and toys to sell, wait until you can pull together a few more items. - When deciding what to sell, never underestimate the value for absolute junk. If you haven’t used something in the past year, put it up for sale. - Since dealers and antique collectors frequent garage sales, proudly display one-of-a-kind items. - Dressers, bookcases, baskets, tables, toys, and tools attract traffic. - If you sell appliances, make sure they work. Have an outlet handy so buyers can plug in that old TV set before buying it. - Put price tags on items. Customers may assume that unmarked items are out of their price range. - Take a hint from retail vendors who mark down slow sellers. If an item doesn’t move, ask a little less. - Don’t charge more than half the retail value of your merchandise. In fact, most Web garage sale sites recommend pricing items at 10 to 30 percent of retail. - Clean everything. Dirty dishes fetch a far lower price than their clean counterparts. - Large items bring the most foot traffic. If you sell a couch or table early in the day, ask if you can keep the item with a “sold” sign on it until the end of the day. - Clothing on racks sells higher than similar items thrown on a blanket. If possible, hang a line in your garage or buy a portable rack. People who dig through boxes expect to pay much less for those items. - Clearly mark your sales area. If you have a sale in your garage, cover the lawn mower, shovels, and rakes. - Attract attention with eye-catching balloons and signs. - Place an ad in a weekly or daily newspaper. If you partner with neighbors on a mutually convenient weekend, you can usually convince them to share the cost with you. - Make plenty of bold, bright, neatly lettered signs. Place them at strategic locations, directing traffic to your neighborhood, street, and house. But don’t forget to take them down when the sale is over! - Don’t sponge off of your neighbors’ advertising. If he places ads and posts signs for his own sale, offer to split costs, or wait for another day to sell your stuff. - Check the weather forecast before planning your sale. Even if you plan to have your sale indoors, inclement weather may keep your customers at home. - Saturday is often the best day for a yard or garage sale, though this varies regionally. In some places, people tend to favor Thursday or Friday sales. If you are new to an area, ask around to see which days are the most popular for sales. - Store unsold items for another day. What isn’t of interest now may be in high demand next year. - Make arrangements to have unsold items picked up by the Salvation Army or other charitable organization. Most provide receipts for taxable donations. To calculate the fair market value of donated items, talk to your accountant. You will probably be surprised by how much you can claim.